This was such an emotional read; it focuses on a young boy awaiting the arrival of his mother as she returns from war. The boy goes through the air field seeing all the people finding and reuniting with their loved one, but he does not see his mother; at this point I'm almost in tears because I'm thinking she may not be coming back. 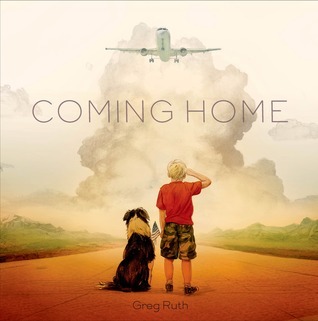 In the end the boy gets his happy reunion; this book is about that feeling families and children go through as they wait for a loved one to return. This was a sweet book about hope and happiness. The art in this book was also very expressive and emotive.